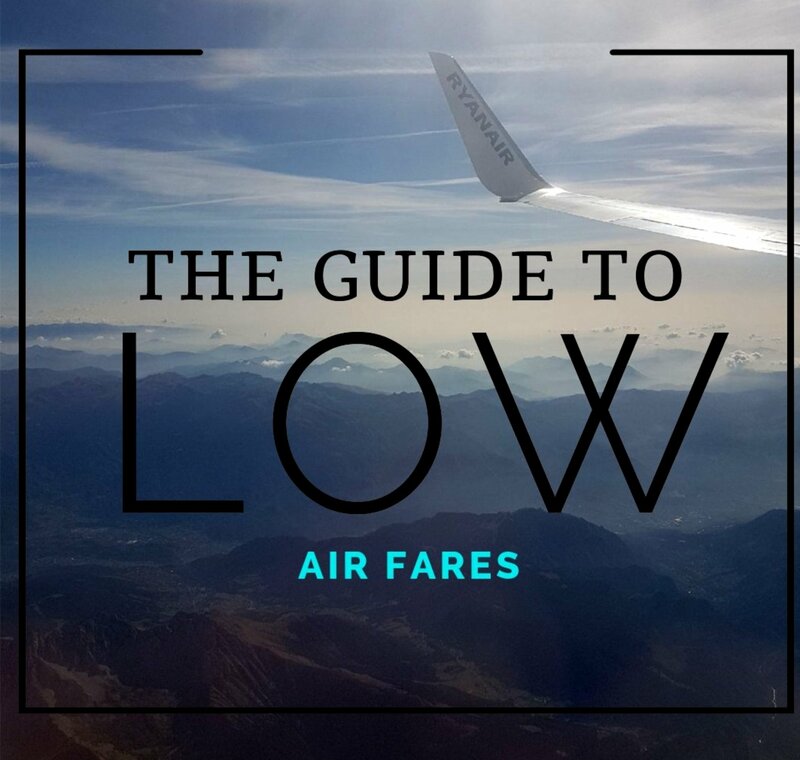 A guide to share some tips on how you can get the best deals on flights to Europe, the best way to get the lowest deal is do to your Research and check Daily. There are Website’s as well as Mobile Apps that will help you achieve this. Always have your phone on Incognito Mode. If your not on incognito mode, website’s can track all your activity when checking flights. If your searching the same location and certain dates the site will increase the price and make you panic-buy. In incognito mode your undercover and all activity is hidden. To access the incognito mode on your mobile select Options beside your URL bar. Set Flight Alerts. Get your email set-up for email alerts from all airlines. Waiting for a public holiday is always a good opportunity for a bargain. As soon as bank holiday comes along you can guarantee there will be a sale. Ryanair usually has fares starting from £9.99 each way. There are three main websites – Kayak.co.uk, Skyscanner.net and Momondo.co.uk make these your ‘Favourites‘. By making them favourites you can access calendars and bar charts that show you how you can save your money. Sometimes moving a flight one day forward can save £50 or more. Never book straight with the airlines until you have searched these websites. The Loyalty Scheme, is where you begin to Travel Hack. The most popular is Avios, with Avios you earn points with multiple airlines. Your reward? That’s part of the ‘Reward Saver Flight’ scheme which earns you a free flight to destinations all over Europe. The airlines included are Aer Lingus, British Airways, Flybe, Iberia and Vueling. Kayak – This is my favourite app, I use this website myself everyday. It’s Free and easy to use. Filter destinations by cost, date or holiday type for example, ‘beach’ or ‘skiing’. They also have the ‘Explore the world’ feature, which is dangerously addictive. The only negative for this website is that like many price-comparison sites Kayak doesn’t book the flight itself, instead you are redirected to third-party booking sites. Skyscanner – Skyscanner does the basics but also has some clever extras. The fun sharing funcation, when you can send a screenshot of the information your looking at to a friend via Whatsapp or Facebook Messenger. A feature I also love is the ‘travel wallet’ you add your passport and airline-loyalty card, which makes it so much easier when booking flights. Momondo – Across all price comparison websites, Momondo has the most success of finding the cheapest flights. On one search they found the same flight on another website £50 cheaper. The negative? The app does have some problems with crashing, so maybe use the website instead. Hopper – The best feature on this app is the price calender. Mini-green blocks mean you have found the cheap flights, orange blocks are ok but you will not get the best price and red blocks avoid them! The price-prediction funation is another good funation after each search it will tell you if it thinks the price will rise or fall and the latest date you should leave it to book the flight. The only downfall to Hopper is that it’s known for not being able to find flights to as many destinations as Kayak or Skyscanner. Following these simple methods can save you so much money and that can go towards even more flights!